Desktop Virtualization as a strategic application delivery platform promises a number of compelling benefits, but it can be difficult to translate potential into successful (and reliable) deployments. This session provides feedback from an organization that has successfully leveraged and implemented a complete end-to-end virtual computing environment for an extended period of time. 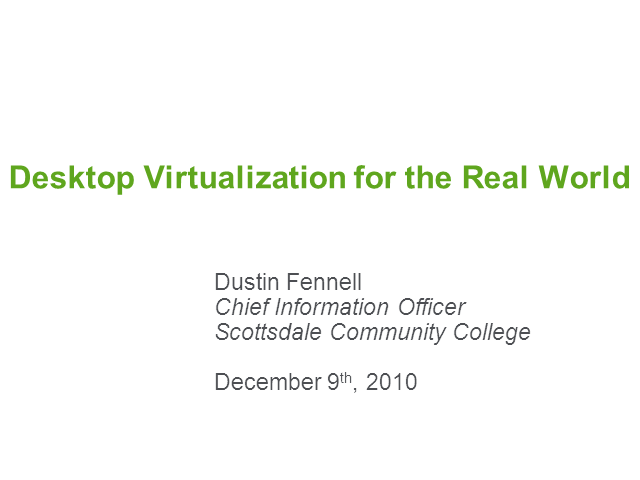 Business and financial considerations will be examined to help you determine if desktop virtualization is right for you, and then set realistic expectations to ensure project success.